Growing up, ‘X’ always marked the spot, problem was my lack of treasure maps. Fast forward to 2013 and anyone with a GPS device can find buried treasure. 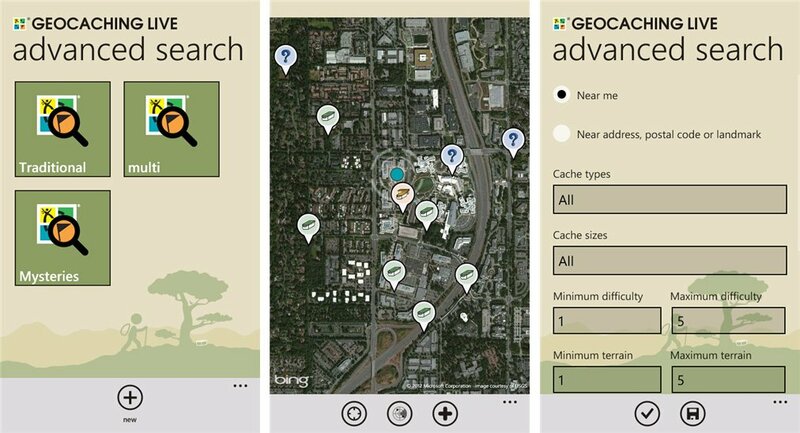 Ladies and gentlemen, geocaching can make anyone of you a pirate for a day and we now have a great app for Windows Phone to live out those swashbuckling fantasies. 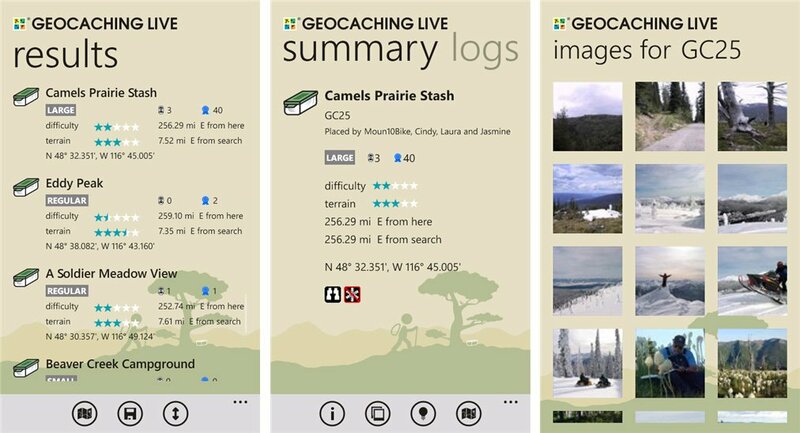 But before you get your Captain Jack cosplay on, how about you read into Geocaching Live for Windows Phone. Let me explain for the three percent of you who have no clue what geocaching is (and yes it’s as nerdy AND awesome as it sounds). Geocaching is a global, outdoor recreational activity centered on hunting treasure called “geocaches/caches”. 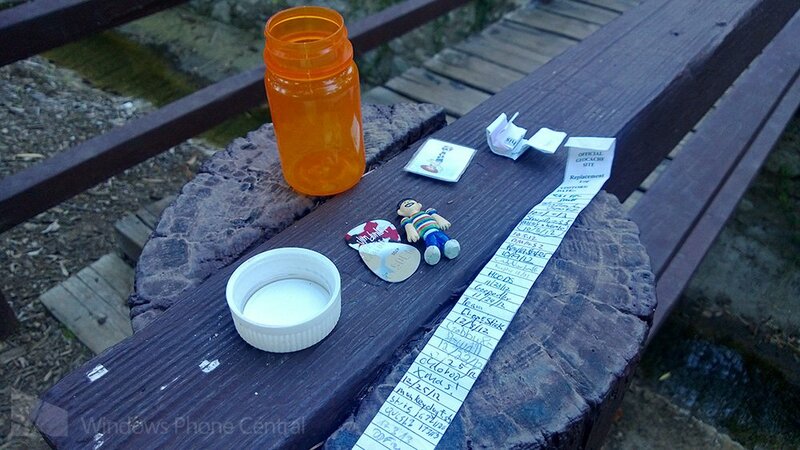 Those caches can be made and created by anyone, there is no requirement, and you just need to save the coordinates to a geocaching community. The simplest treasure hunt involves following the coordinates of a cache to its location. Most caches are housed in weather proof containers and will have a various assortment of odd, small trinkets that you can take out if you swap in one yourself. You’ll also find a log book where you can record the date and time you accessed the cache. Hit up the Wikipedia article on geocaching to learn all about it. This sounds so nerdy, but if you’ve never done it I promise a good time. You just need to take some friends and try it out sometime. Fairly impressive in terms of what it can do for a geocaching app. When I first went geocaching years ago, you had to download the file to your handheld GPS device. Now you can browse the site, grab the relevant caches you want to hunt for, and then you the GPS on your phone to find that treasure. 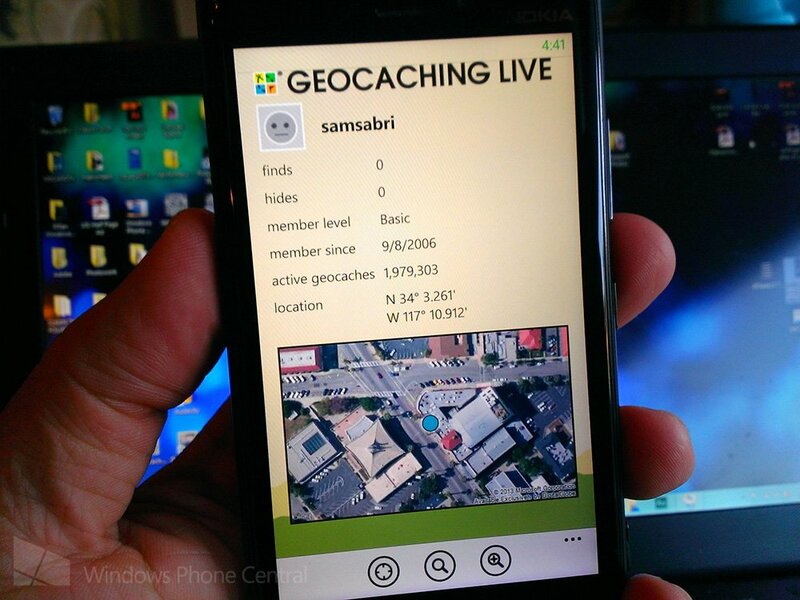 If you feel like killing a few hours friends on a weekend afternoon check out Geocaching Live. It doesn’t matter if you live in the heart of city or out in the boonies, you’re sure to find a geocache somewhere nearby. We will have to wait as far as when we can expect an update for the app to take advantage of features unique to Windows Phone 8. I reached out to their support team and am still waiting on a reply. I’ll update if we learn anything useful. Check out the pic below of a local cache at a park near my house. This was a super easy one just to demonstrate what a cache might look like. This one in particular can be labelled as a "micro" cache since the container is so small. Inside were a few trinkets and the log. 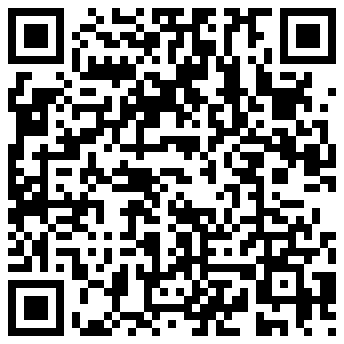 The app is available to all Windows Phone versions, it’s free and you can download it here in the Windows Phone Store, use the QR code below, or swipe to the right in our Windows Phone Central app. You are limited to saving three caches per day from the site as a basic member. Premium membership costs $10 for three months or $30 for the year. With that you get unlimited caches per day and a slew of other perks, read about them here. Any of you been geocaching before? Interested in trying it sometime?